Sorry, Aspire K1 Glassomizer has been discontinued. K1 glassomizer with BVC coil by Aspire. 1.5ml tank. 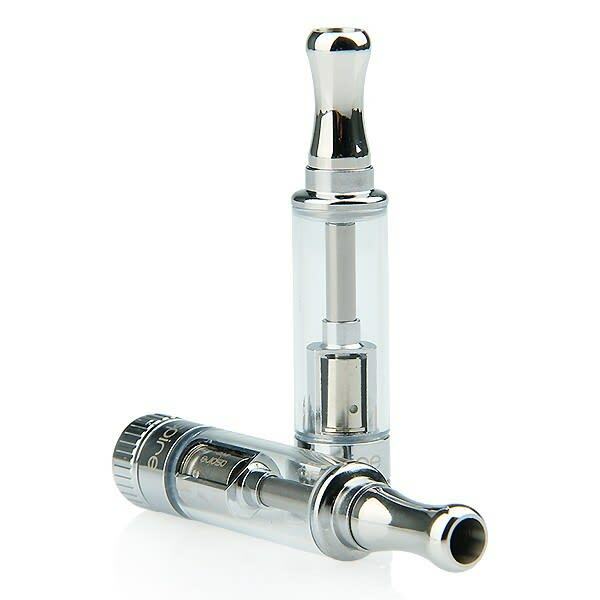 Made of the same durable pyrex glass and stainless steel as the Nautilus series, and using a version of the same BVC technology in a smaller coil design, it is a compact 1.5ml glassomizer at a very affordable price! The K1 is one of the latest glassomizer by Aspire. Compatibilty : Cloud Maker kits, and all EGo threaded batteries. Not the greatest. Pretty cheap. I suggest something better. My friend Jimmy said that his K1 would out produce my Aerotank, and I tried it out. Jimmy was right! The K1, and I'm not sure why, is literally the cleanest, smoothest vape you'll get for under $30. Really good. The best of the Aspire tanks that i've tried other than the Nautilus mini, Great flavor, great vapor and really its only a couple bucks more expensive than either the et or et-s neither of which is nearly as good as this one, dish out the few bucks more for it, I also prefer this tank to the kanger aerotanks that i've tried and the protank 3. This is my second favourite tank with the first being the nautilus mini.